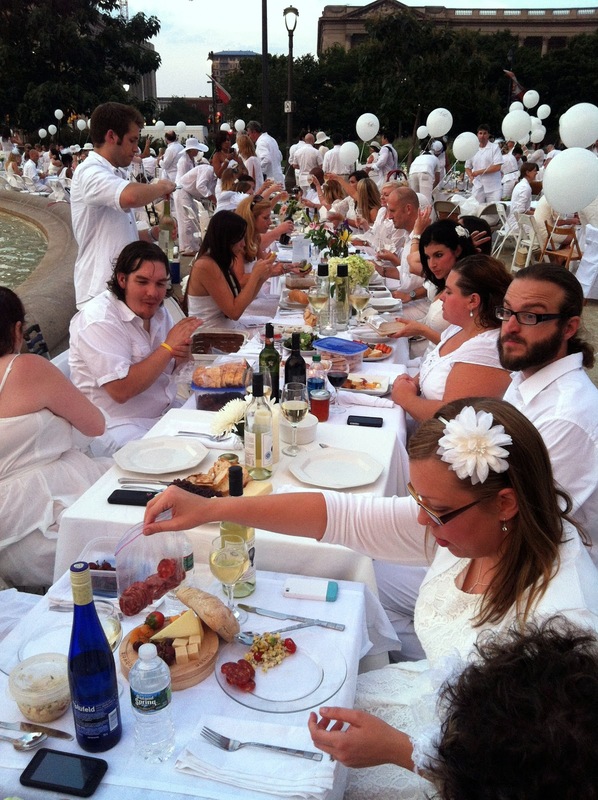 Diner en Blanc in Philadelphia last night was a huge success! 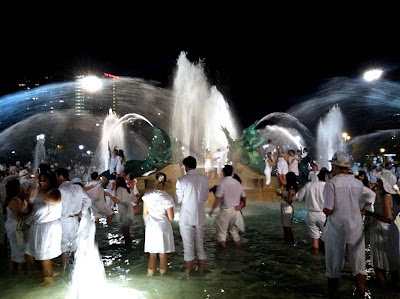 More than 1,300 party people dressed in all white and lined up their tables and chairs around Logan Circle to share a great picnic meal and dance the night away (in the fountain!). The location was a secret until we arrived but turned out to be just the right size and backdrop. 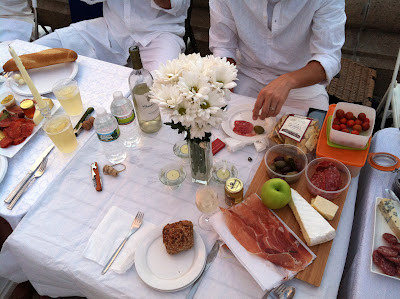 Here are a few of the best photos we grabbed in between munching on meat/cheese from DiBruno Bros, drinking wine, and making new friends. For our full collection of photos, see our Facebook album. 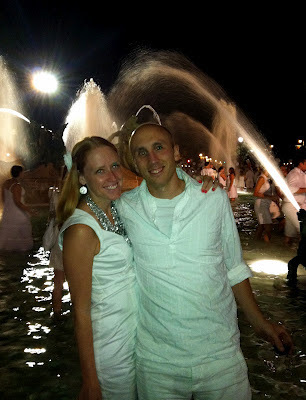 Nice to see that you disregarded all the rules about standing and jumping around in the fountain. All that weight and stomping ruins the foundation, the sealant, and the masonry. 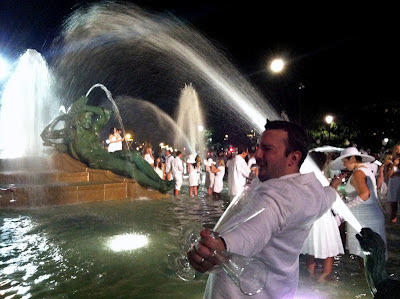 And will any of you fine people want to help pay the bill when the city has to repair the fountain once again?